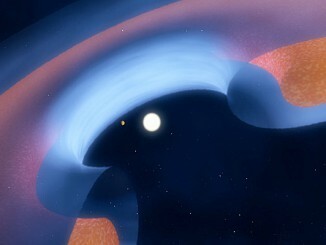 Artist’s impression of a disk galaxy transforming in to an elliptical galaxy. Stars are actively formed in the massive reservoir of dust and gas at the center of the galaxy. 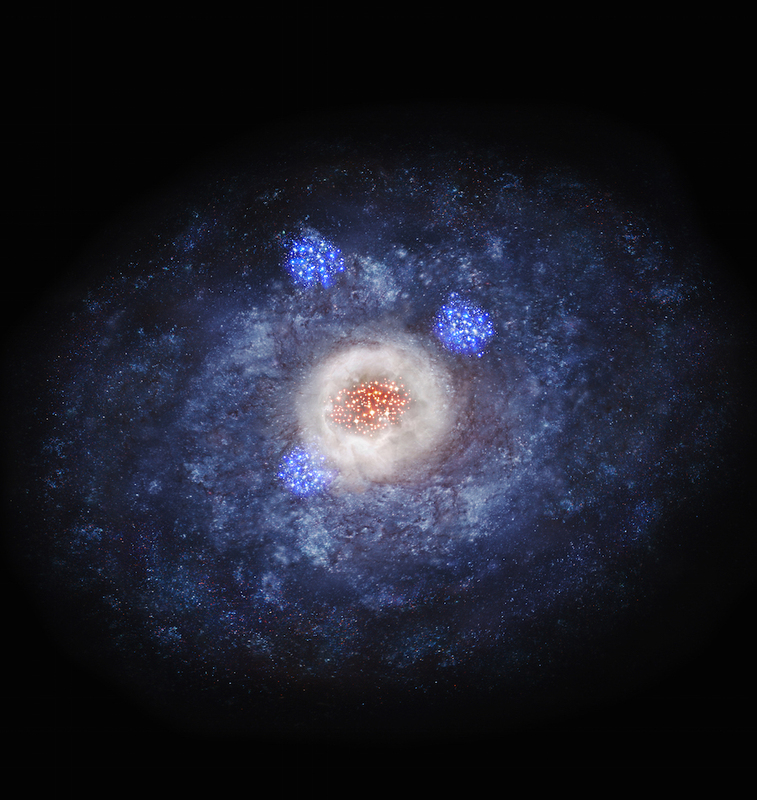 Astronomers have found that active star formation upswells galaxies, like yeast helps bread rise. Using three powerful telescopes on the ground and in orbit, they observed galaxies from 11 billion years ago and found explosive formation of stars in the cores of galaxies. This suggests that galaxies can change their own shape without interaction with other galaxies. Receiving faint light which has travelled 11 billion years is tough work. The team harnessed the power of three telescopes to anatomize the ancient galaxies. First, they used NAOJ’s 8.2-m Subaru Telescope in Hawaii and picked out 25 galaxies in this epoch. Then they targeted the galaxies for observations with NASA/ESA’s Hubble Space Telescope (HST) and the Atacama Large Millimeter/submillimeter Array (ALMA). The astronomers used HST to capture the light from stars which tells us the “current” (as of when the light was emitted, 11 billion years ago) shape of the galaxies, while ALMA observed submillimeter waves from cold clouds of gas and dust, where new stars are being formed. By combining the two, we know the shapes of the galaxies 11 billion years ago and how they are evolving. “Here, we obtained firm evidence that dense galactic cores can be formed without galaxy collisions. They can also be formed by intense star formation in the heart of the galaxy.” said Tadaki. The team used the European Southern Observatory’s Very Large Telescope to observe the target galaxies and confirmed that there are no indications of massive galaxy collisions. 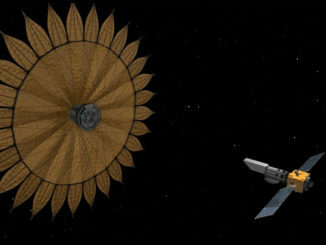 Scientists outlining four concepts for a powerful new space telescope that could launch in the 2030s this week said improvements in optics, detectors and access to huge new rockets like NASA’s Space Launch System could revolutionize the way astronomers observe potentially habitable planets, black holes, and the earliest galaxies in the Universe. Astronomers using the Atacama Large Millimetre/submillimetre Array (ALMA) have found the clearest indications yet that planets with masses several times that of Jupiter have recently formed in the discs of gas and dust around four young stars. Measurements of the gas around the stars also provide additional clues about the properties of those planets.